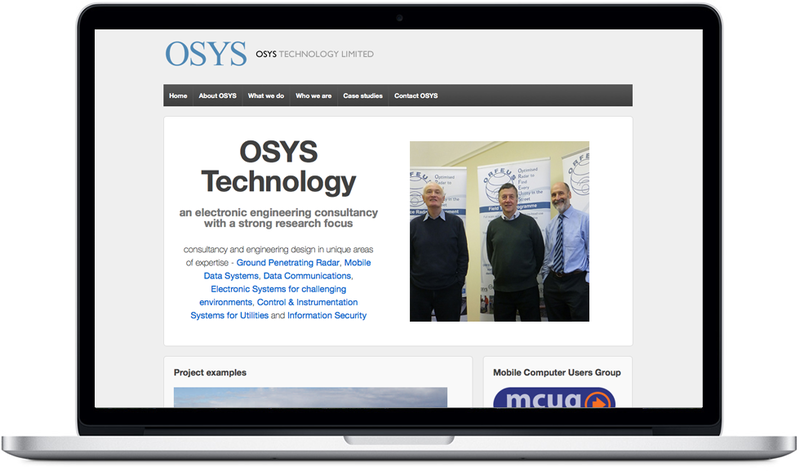 OSYS Technology Limited is an Electronic Engineering Company, with a strong research focus. Their mission is to provide consultancy and engineering design in their unique areas of expertise of ground probing radar, mobile data systems, data communications etc. Their brief to us was to develop a cost-effective web presence which would be easy for them to update themselves as their projects developed in these fast changing areas of technology.